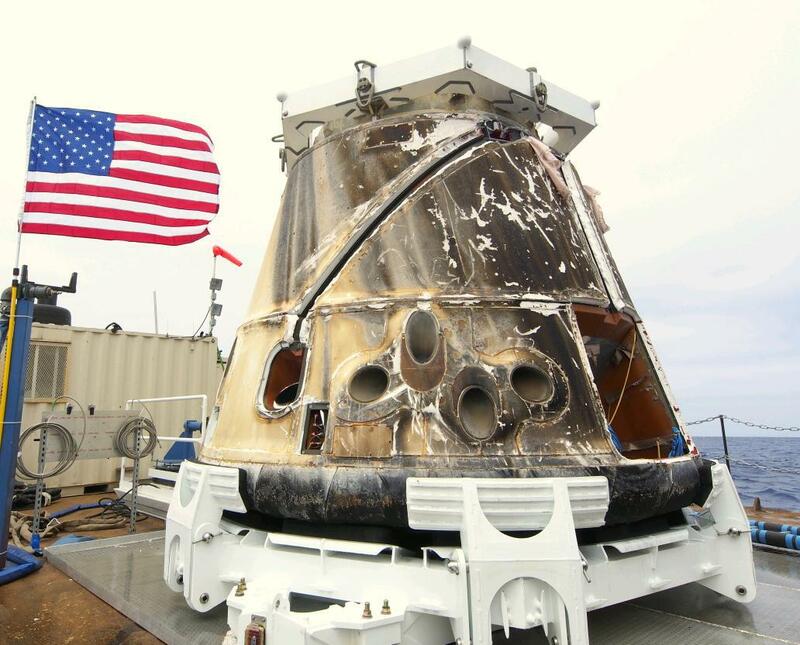 SpaceX’s Dragon capsule on a barge after its May 31 splashdown (Credits: SpaceX). On May 25, 2012 SpaceX made history when the Dragon spacecraft became the first privately developed vehicle in history to successfully attach to the International Space Station. Previously only four governments — the United States, Russia, Japan and the European Space Agency — had achieved this feat. This video features highlights from the mission, including: May 22: Launch Day: SpaceX’s Falcon 9 rocket launched the Dragon spacecraft into orbit from the Cape Canaveral Air Force Station. May 23: Dragon orbited Earth as it traveled toward the International Space Station. May 24: Dragon’s sensors and flight systems were subjected to a series of tests to determine if the vehicle was ready to attach to the space station. May 25: NASA gave Dragon the GO to attempt berthing with the station. Dragon approached. It was successfully captured by the station’s robotic arm. May 26: US astronaut Don Pettit opened Dragon’s hatch and the astronauts entered. May 31: After six days at the International Space Station, Dragon departed for its return to Earth, carrying a load of cargo for NASA. SpaceX completed its historic mission when Dragon splashed down safely in the Pacific.